Should I Buy A New Bathtub, Or Resurface? You can buy a new bathtub for a few hundred dollars at a hardware store. However, replacing a bathtub will actually cost much more. When replacing a bath tub, there are more costs and factors that are associated, than just purchasing a replacement tub. 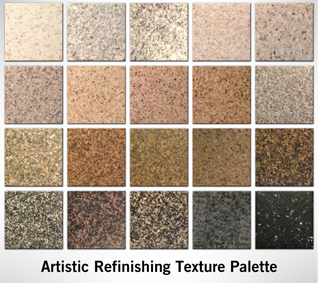 Resurfacing is the best route to take, your bathtub will look and feel brand new, and you won’t have to break the bank! Its important to remember that houses are usually built around bathtubs during initial construction. So when you need or want to replace the actual bath tub, any finish items such as the trim, and surrounds, and the plumbing will have to be removed. Depending on the new tub’s size, you might have reconfigure the plumbing to fit the new tub, that is if it can fit through your doors. Many tubs are too large to be brought in to houses, they have to be cut in order to fit through the doors. When the tub is finally installed, you still have to redo all the trim and surrounds. These costs and the time you will have to invest are a headache, one that can easily be avoided. 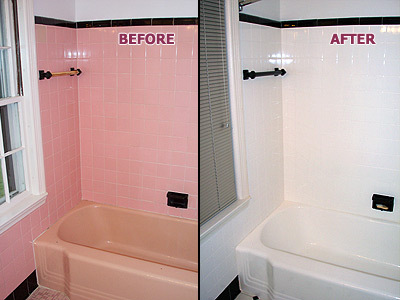 Refinishing a bathtub offers a cost-effective and time-effective solution. Bath tub refinishing can add a new coating to your bathtub, allowing it to be used again in just a couple days without any additional delays due to replacing the tub or plumbing. Many people try to use a ‘Do It Yourself’ kit, but bathtub refinishing is a job that is best left to the professionals. There are multiple steps to bathtub refinishing, Stripping the old finish off the tub, repairing and patching any holes or cracks, and having proper ventilation to expel the fumes should all be left to a professional. A bonus, bathtubs are not the only thing that can be refinished. Sinks, tiles, countertops, shower stalls, and kitchen cabinets are able to be refinished. Previous Previous post: How does the process work?